Taking care of people, their health and welfare needs, their social issues, and their relationships. This has to be one of the most complex systems that anyone can work in. Especially as this has to include the community and family circumstances, as well as the individual. In England we have made it particularly complex, by the way government has seen fit to design the overall health and social care system. By fragmenting the various 'services' and privatise provision, this has unleashed forces that guide the behaviour of a miriad of organisations with different competencies and rules. A systems approach is particularly apt to make sense of this complexity. It strips out the artificial barriers that are put in the way of doing the right thing, and allows a design of an effective system to emerge. In addition, that system, if designed according to a set of guidelines, will require significant less cost, and provide a far better service. This has been proven time and time again. But the challenges to design this, requires leaders to challenge the currently help assumptions of how the current system should operate. Many authorities are now experimenting with integrated working. The government and the NHS have recognised that the way forward is more integrated care. Sustainability and transformation plans (STPs) drawn up by eath authority are now focusing on transformation and localisation of care. Personalisation, patient centered, community, integration, community assets, key worker... They are all pushing against the monolithic approach of treating everyone the same. Now that this approach has proven itself, lets get going with what we have learned works. Help me to live my life well. And if the services are redesigned around this phrase. What do you think will happen? What will happen to costs? If done correctly, it has been shown that costs for complex cases reduces, demands reduce, and service outcomes increase. The NHS has seen such improvements, that it is now encouraging health authorities to use systems thinking approaches. 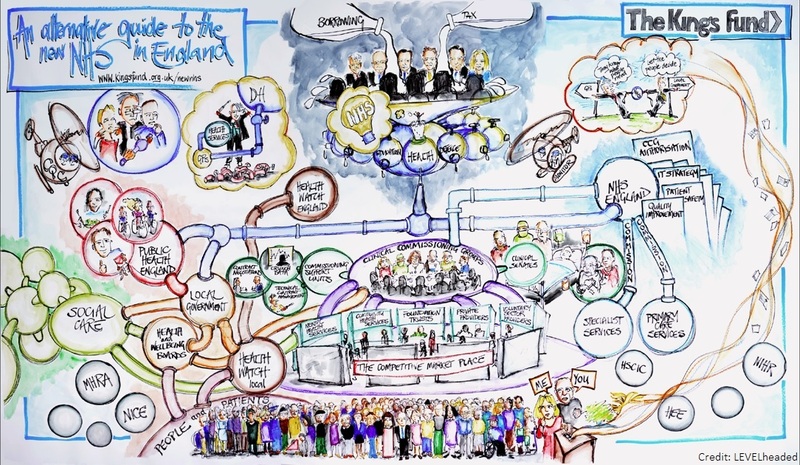 Delivering care across existing systems will be a key development for the future of service delivery and evidence suggests that a “systems thinking approach” will be required to understand the environment and the complex interactions within it. My problem – I have complications with my wrists, and everything I touch feels hot. This was a typical case that would bounce round the community health office, and over time the service user would either make more demands, or lose interest and rid her connection the NHS. A failed outcome that shows how we can spend lots of time going round in circles. It's tempting to view the work as being another 'single point of contact', or a 'multi-disciplinary hub', or 'sharing data'. The reality is that the real change is in the thinking and approaches of those in the new system, one person actually did most of the value work. Combining systems thinking with the co-creation of person centred care offers a powerful framework for redesigning healthcare. Capitalising on the potential of person centred care and systems thinking will provide a significant step forward in addressing the health challenges of today and tomorrow.